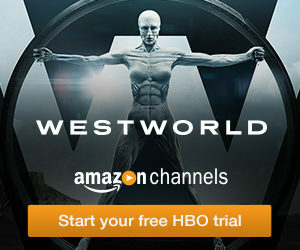 Remember the days when you’d go to a web site, find something you like, go to checkout and then see the promo code box? You’d freak out and start frantically searching web sites like 9malls.com or RetailMeNot for coupon codes only to realize there are none available. A couple named Alice and Bryan Payne felt your pain and began developing the next generation of coupon/discount shopping, but this time instead of you searching for the coupon the coupon finds you. Yes, you heard right the coupon code actually finds you using location based tracking. Alice and Bryan Payne were avid seekers of the best deal. King and Queens of discount shopping, but the pursuit of finding the best price started to become a full time job. They wanted and needed a faster way of finding deals, but there simply wasn’t anything out there. That’s why in 2014, Payne founded Skout Deals, which offers a free location-based deals app. Image: Screenshot of the Skout Deals web site with Apple Store and Google Play download options. Sounds Great, But What Does The App Do Exactly? Today the app gives users a whopping 50,000 deals per day! That’s more deals that you could redeem in a lifetime most likely. 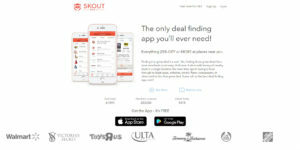 In August, Skout Deals signed a nationwide partnership with Walmart and Best Buy. The whole concept of coupon codes from paper to internet I think has gone a bit stale, people are desperately searching for an easier way. For this reason the app is taking off in a big way. Skout Deals has 100,000 members nationwide, including 13,000 in Austin TX alone. They say everything is bigger in Texas, including the discounts and user base. How Does This Company Make Money? 100,000 users may sound like a lot, but in order to get this thing even bigger its going to take a lot of work. One problem is getting people to download the app and second it’s getting merchants interested in the product. 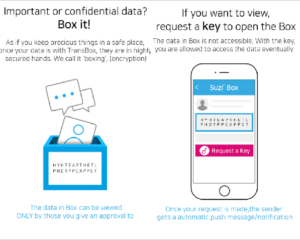 Help make Skout Deals even more of a success download their app today and if you are a small business they offer a 30 day free trial. Just how intelligent is the TRNL-1 LED Night Light? So smart you can set it up and forget about it. It will keep your room safe and sound at night and it’s so smart it will just power itself off when morning comes. The Trumpray is a smart light that does more than just light up your nights. Best of all no WI-Fi, no Bluetooth needed. There’s nothing worse than having to connect yet another “Smart Home Product” to your home wi-fi network and company app. Use this as an alarm clock and you will wake up in a room with simulated natural light with an alarm with this sunrise simulator alarm. Are you a heavy sleeper? The alarm clock will even use sensors to continue the alarm to get you out of bed. And no matter where you are, the Trumpray night light will let you relax by stimulating sunset. The light will turn light orange to help stimulate the production of melatonin for a nice, deep sleep. This is a smart night light, alarm clock, motion sensing unit and low light night light that you won’t have to mind. It is fully touch operated with its updated Motion Sense Technology. Uses only 3W of power to operate with 72 hours of standby time. The Trumpray is equipped with a motion sensor that will turn the light off or on according to motion. 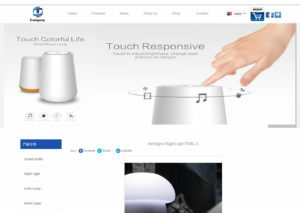 It will even adjust the level of rightness according to motion sensing. 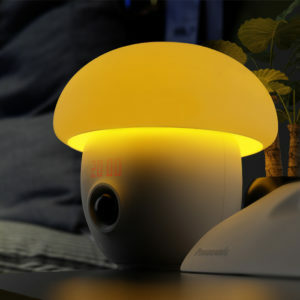 Get out of bed safely without flicking a switch with this mushroom nightlight. So get ready for the best sleep of your life with the Trumpray TRNL-1. You can visit the official company web site, follow them on Twitter or Facebook, or buy their products on Amazon for $55 at the time of this article. 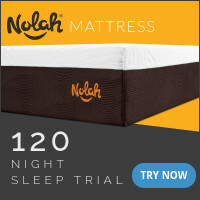 Best of all it comes with a full one year warranty, there is nothing to lose but sleep. Hypflo is not only a great app for live video sharing it also allows users to share virtual gifts. Sharing virtual gifts is what further separates Hypflo from platforms such as Facebook Live. Users can convert these virtual gifts into real cash rewards. 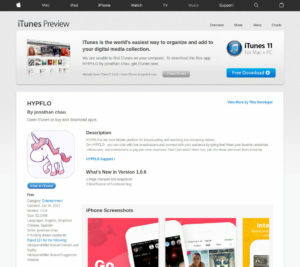 The Hypflo app is currently on Apple and Google Play. The free download on Apple has no reviews, the Google Play app gets 5 out of 5 stars with 4 customer reviews. 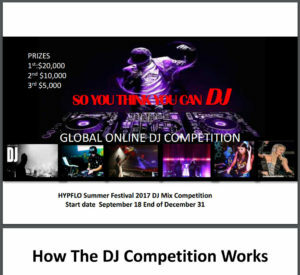 In addition to their great app visit the Hypflo web site to check out the 2017 “So You Think You Can DJ” competition. 1st prize gets $20,000, 2nd $10,000, and 3rd $5,000. Start date is September 18 going until December 31. Watch your favorite celebrity live and chat with them in real time and also to your fans and friends. Come on and join the millions of users worldwide and watch everyone share their live moments together at Hypflo. Expand your sound experience with the Expanse Speakers on Indiegogo. Expanse Speakers are the revolutionary new speaker system that delivers crisp, clear room filling sound at a reasonable price. Right now you can back these speakers on Indiegogo for as little as $179.00. The Indiegogo for the Expanse Speakers was launched by Nathan Oxley of Melbourne, Australia. What’s striking about these speakers is they are only 1/2 inch thick and transparent. The design is unlike anything I’ve ever seen for a speaker. The speaker is basically a membrane under tension that produces sound equally front to back. I strongly urge my readers to take a look at them, they don’t even look like they would produce sound. Until now, electrostatic speakers have been costly, and only available in very high-end sound systems. But new innovations have made it possible to deliver electrostatic technology in a more affordable package. There are two Expanse Speaker models. 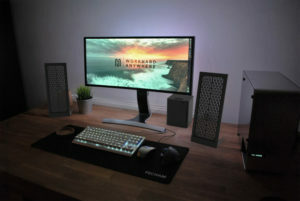 One is meant to connect to your TV or computer, the larger model is meant to connect to your HDTV. The large model takes full advantage of the large diaphragm design, providing big, full sound, easily capable of filling an entire room. It can also be connected to Bluetooth audio for a wireless listening experience. Expansive Speakers deliver impeccable sound quality along 3 vectors: clarity, frequency range and volume. There is also another speaker called ‘The SLAM’ this is your sub woofer. The SLAM is separate from the main electrostatic speaker set, but can be installed in a matter of seconds. The electrostatic speakers supply the crisp mid and high-range frequencies while the SLAM underlines this with rich bass. There are many perks, check out the campaign for complete details. I’m going to mention the lowest dollar perk and the top perk. There is a $179 early bird funding perk that gets you ‘The SLAM.’ Next at the highest price perk, $499, gets you ‘The Kick’ and ‘The SLAM.” Get in the early bird group right now and get all that for $459. The Expanse line of speakers are incredibly easy to use and set up, provide high quality sound, and feature gorgeous design. 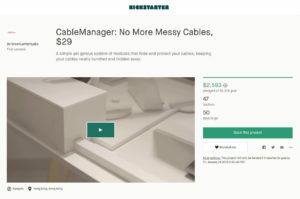 I have no doubt they will reach their $60,000 funding goal.